The east of Lombok is still an undiscovered and off the beaten track part of the island. Here you can also find some Gili islands that belong to the most unknown around Lombok: Gili Kondo, Gili Bidara, Gili Kapal and Gili Lampu. If you wanna have some paradise feeling without much tourism on Lombok, you definitely should visit these islands. Especially when you’re looking for nice snorkeling spots with colorful corals (that are still alive) and fish. 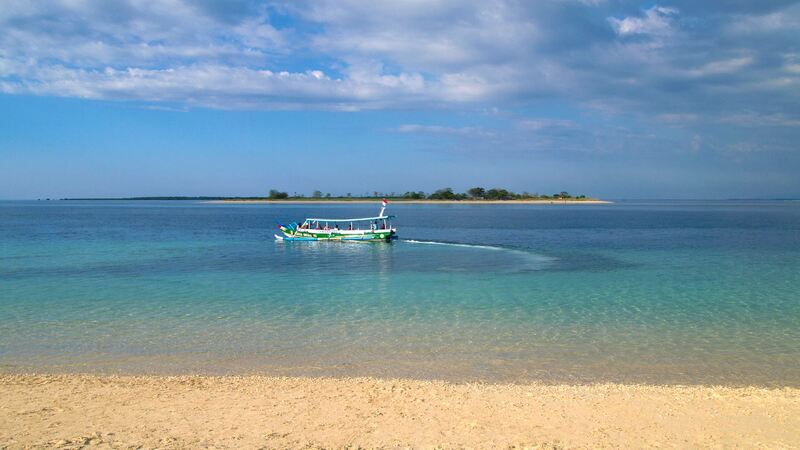 You can do a tour to the Gili islands in East Lombok perfectly as a day trip, but you should leave very early. The drive from e.g. Senggigi to the small harbor not too far from the Gilis in the east, which is located about 10 kilometers north from the big harbor Labuhan Lombok, takes around 2 hours. 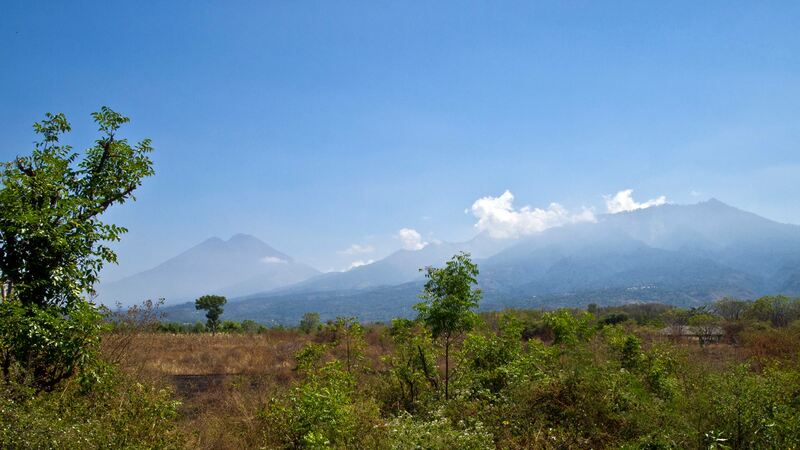 The way to the east of Lombok itself has already 2 interesting sights: a beautiful panorama view at the mountain scenery and the volcano Mount Rinjani and the Giant Tree Forest before the harbor. 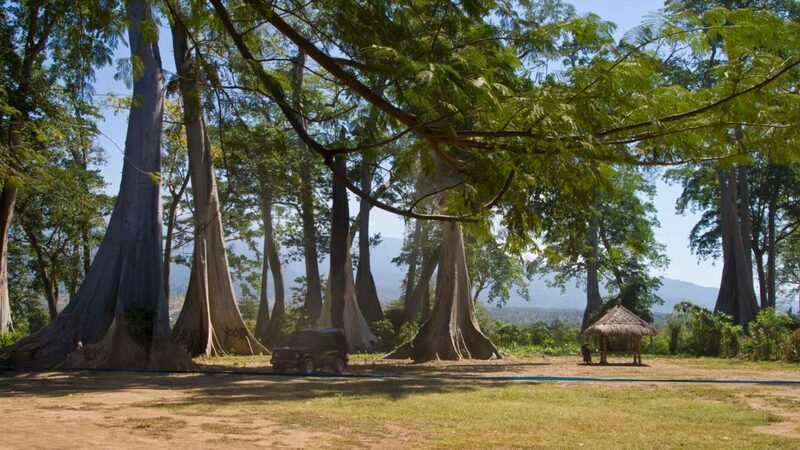 Usually the first stop of this island hopping tour is the mangrove island Gili Petagan. 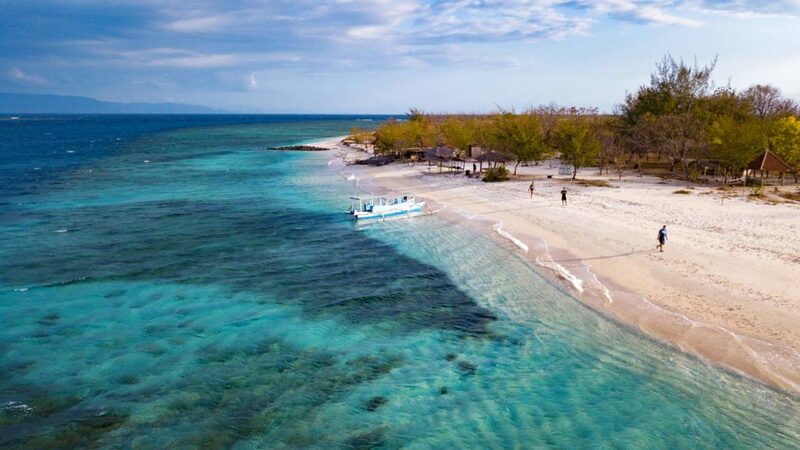 The island offers almost no beaches but already has the first snorkeling highlights with many corals and fish, including Nemos. Let’s go to the tiny island Gili Kapal – which is actually only a big sandbar where you can reach the other end within a few seconds. This is why sometimes it’s called Gili Gosong (in Indonesian “Gosong” means sandbar). Depending on whether it’s high or low tide, it can happen that the island is hardly accessible because it’s almost completely under water. 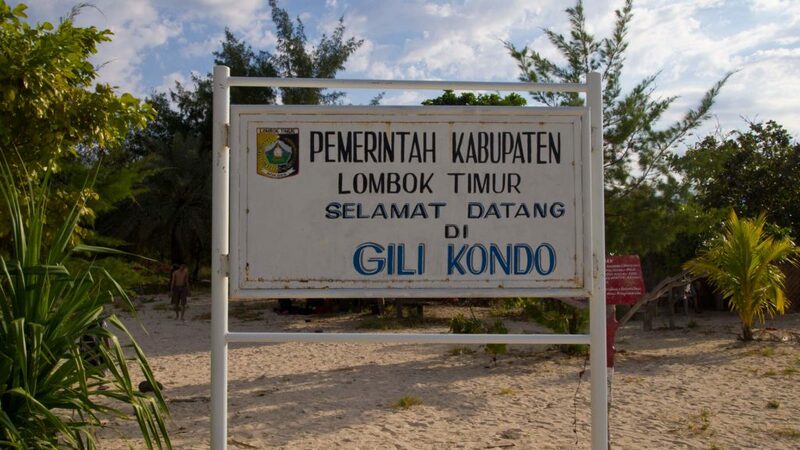 Then it gets the name Gili Kosong. This is a funny Indonesian wordplay since “kosong” means empty/vacant. So obviously, it’s best to visit Gili Kapal during low tide. 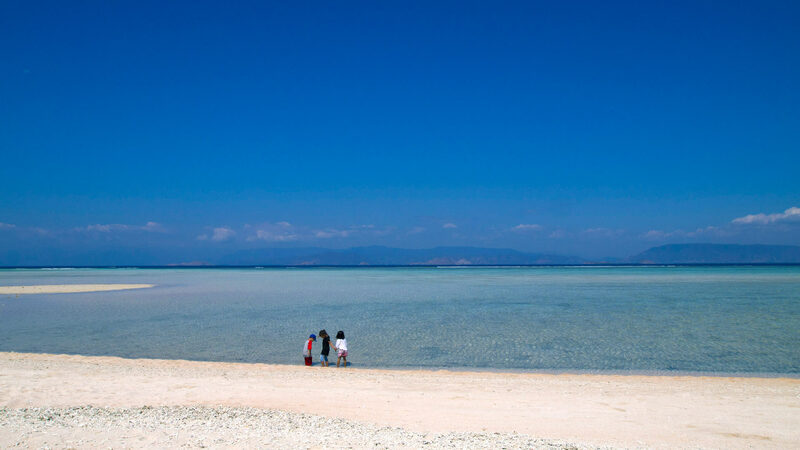 During this time the water is so flat, that you can walk very far in the crystal clear water at the east side and have a view at Sumbawa. The other side is still good for swimming and snorkeling. I was instantly impressed by this island, even when there’s actually nothing to see. 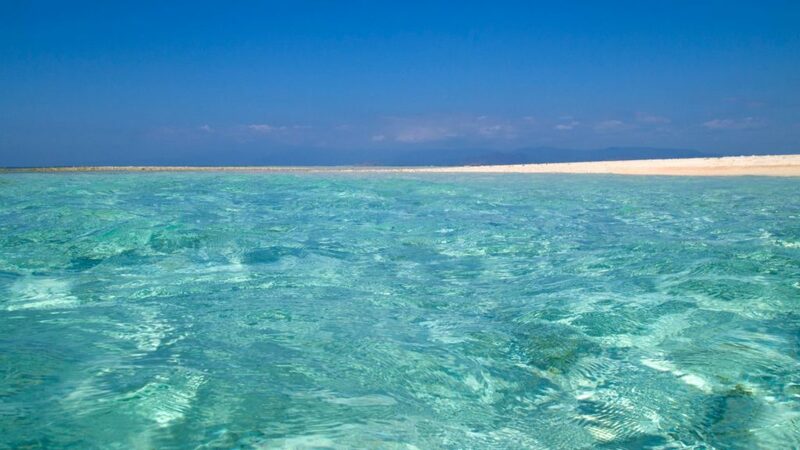 But the water is certainly the cleanest I’ve ever seen on Lombok and the other Gili islands – in a few places you have a South Sea or Maldives feeling! 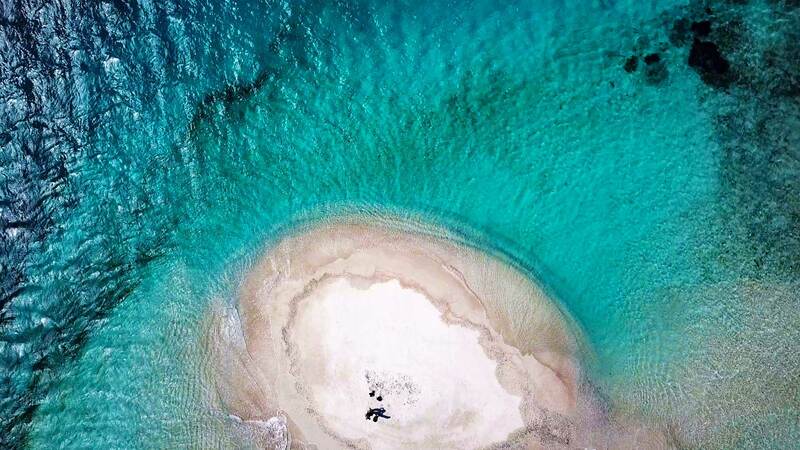 And if you’re lucky, you can even have the sandbank island completely for yourself. Namely, when there are no other tourists at the moment. A total Robinson Crusoe feeling. Awesome! Ok, there’s one disadvantage though: on the island there’s no shadow at all and in the blazing sun you ought to be careful! Don’t forget your head covering and sun protection. After a relaxed stay on Gili Kapal, the next station was Gili Bidara. It is significantly larger and has a small jetty, which is currently broken and isn’t really good for the nice beach atmosphere. Nevertheless, in front of this pier, there is a wonderful snorkeling spot with many corals and fish. Here I finally saw my first Nemo. Apart from that, Gili Bidara is uninhabited and very quiet. If you have enough time, you can even take a relaxed walk around the island. 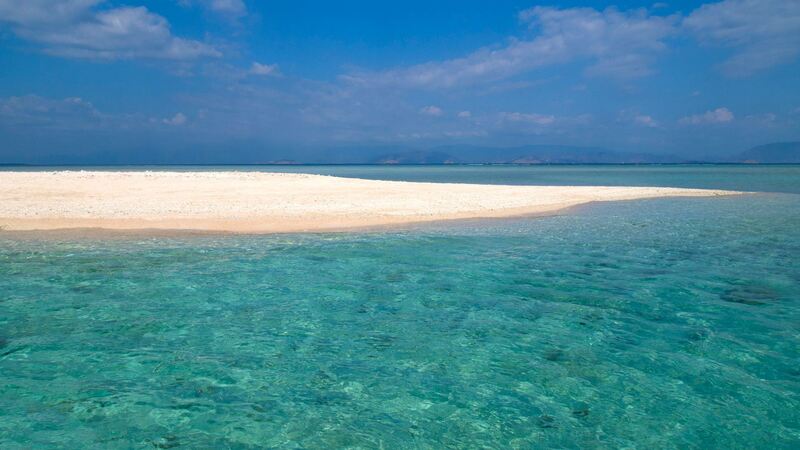 Gili Kondo is the most known and popular Gili island here in the east. You could say it’s something like the Gili Trawangan of East Lombok. Especially locals like to come to Gili Kondo since it’s a popular camping island. At the main beach you can find some places to sit (so-called Berugaks) and also a small shop selling snacks, “Pop Mie” and drinks. Although there’s not much tourism in East Lombok, the island and its main beach may get quite full. This is because of the many locals that like to come here on weekends or holidays. Hence it’s best to come in the week, when there’s almost nothing going on. Also, here you can perfectly snorkel and see many corals. Unfortunately, I already saw the first trampled corals. But most of them are still alive and just beautiful. For the sake of the nature, please be careful when you snorkel here. A tour that I can recommend to everybody! Even though the way to the east is very far. 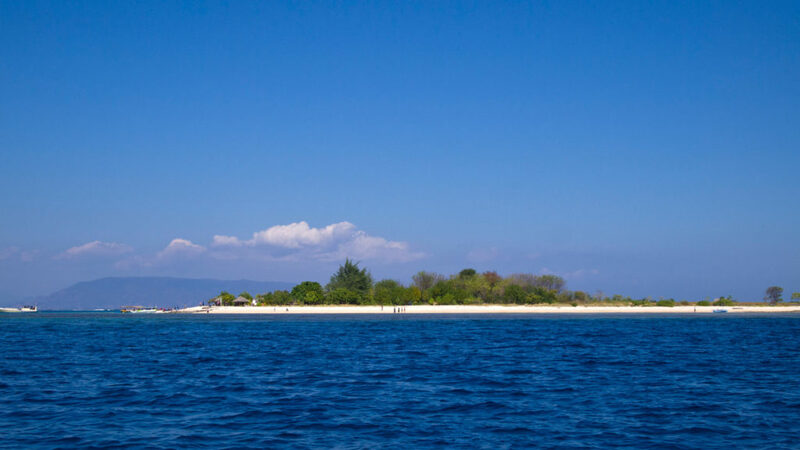 Especially the tiny island Gili Kapal is a special highlight, that you won’t find anywhere else on Lombok. But also the other islands are worth to be seen, especially when it comes to snorkeling! Just as the Gili islands in Sekotong, the southeast of Lombok, these islands here are not to be compared with the 3 famous Gilis Trawangan, Meno and Air. It is even more undeveloped here than on Gili Nanggu for example. There are currently no accommodations on any of the islands and even on the mainland in the east of Lombok the choice is not too big. You can of course go to the small harbor near the Gili islands by yourself. But keep in mind that the drive is quite long and – even if I would never expect this – in the east of the island there are some towns, where there is much traffic. It’s probably better to go by car than with a scooter from Senggigi or Mataram. I suggest you to take a driver who knows the way for this kind of tour. I made this tour with Lombok Arfa Tour and Travel and was very happy. The owner and driver Ramdani works closely with the local boat drivers. So you don’t have to worry about anything. In the boats fit about 15 persons and snorkeling gear is available on board for free. 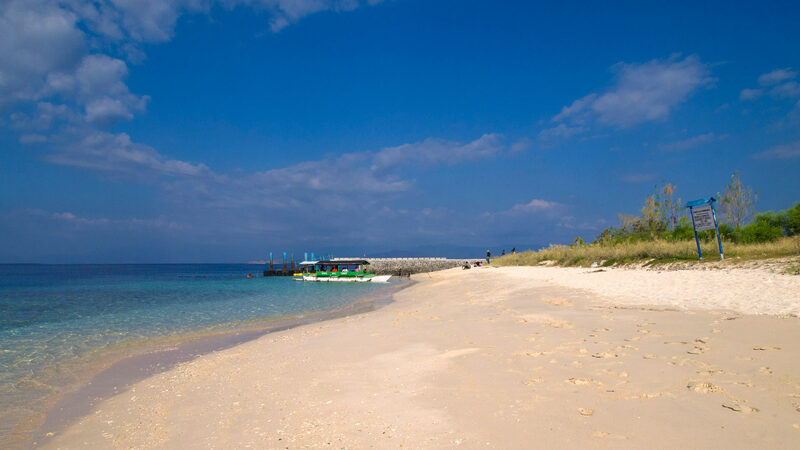 Have you ever been to Gili Kondo or the other Gilis? How did you like it? Let us know right now! Note: I’ve been invited by Lombok Arfa Tour and Travel to this tour. As always, all opinions are my own. Do you remember which port from mainland Lombok you went on the boat with Pak Jeffry to Gili Kondo etc..? How much did you pay for the tour? Guess it included visiting 3 islands and snorkelling for half a day? Did you stay locally the night before you went to Gili Kondo? If so, what homestay do you recommend? I went with Lombok Arfa Tour and Travel (Mr. Ramdani) from Mataram, very recommendable. You can contact him to get all the information + transport. If you want to stay nearby, you should consider Bidara Cottages. Hi . What’s a good place to dive as well as stay? We’re looking for good hotels but with accessibility to dive/snorkel. Thanks Marcel ! I heard that meanwhile there are some accommodations/homestays in the east. However, it’s been a while since I have been to East Lombok and I don’t know exactly how they are. I will update here when I find out, as I will go to Lombok again this year. About how much were the half day tours of the islands – both the east around Kondo, and also around Nanggu and Asahan? 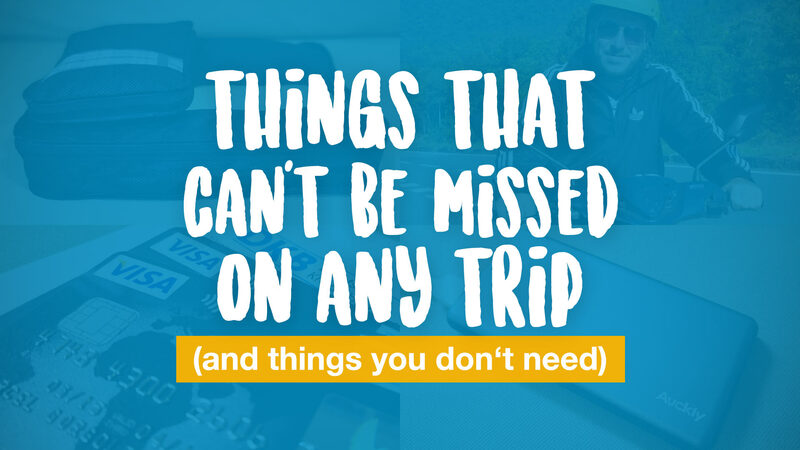 And is it possible to set up a whole day trip, spending more time on some of the islands? End of april we will visit Lombok and we would stay 3 nights at one of the Gili Islands. We are a family with mom and dad and two sons. (11 and 8) The youngest would see turtles and nice colorful fishes. 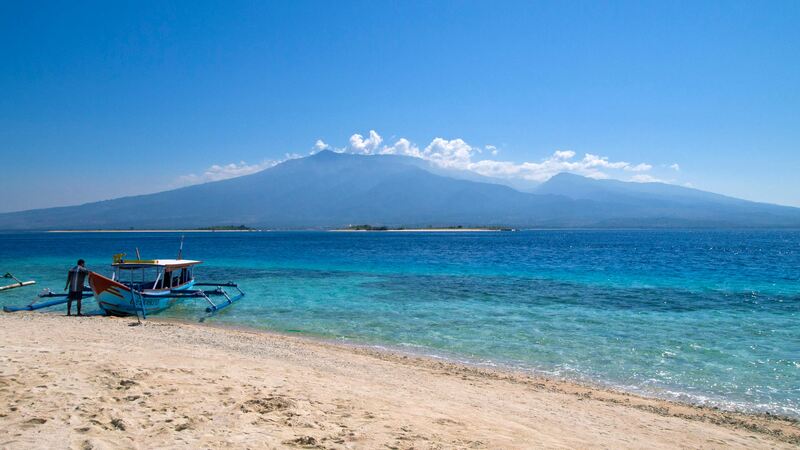 Can you give us tip which Gili Island is nice to stay for us and childeren and where snorkling is good to do. 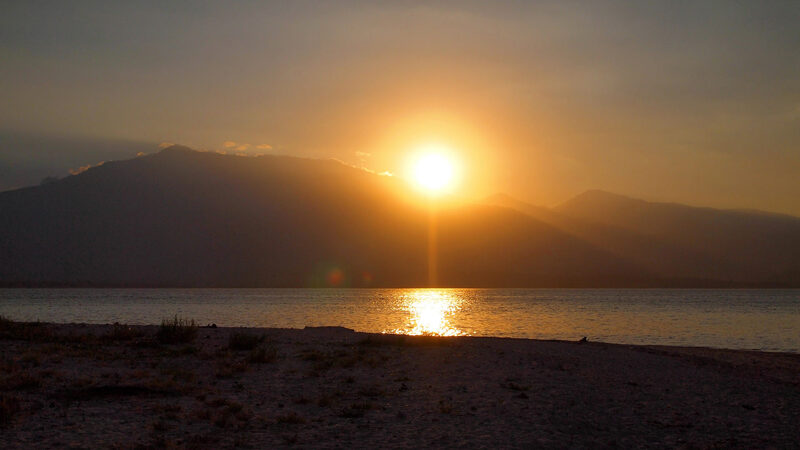 I think the best option from the 3 Gili Islands for families is Gili Meno. This article is about the Gilis in East Lombok and they have no accommodations at the moment, hence you can only visit them by day trips. They are quite far away and the trip is not so easy without guide or Indonesian speaking friends. From any of the 3 Gili Islands you can book snorkeling tours for seeing turtles. I don’t know about the other 2 Gilis, but from Gili Meno it was possible to go snorkeling directly from the beach and see turtles. Making tour to east Lombok is good alternation. There are some cottages with beachfront view in the east of the harbor to visit Gili Kondo. The guest may book via arfatourindo@gmail.com The rate includes airport pick up, car, boat and tour in the Gili island, Strawberry village in Sembalun, Monkey forest in Lemor, and other places. hi, how was your trip? 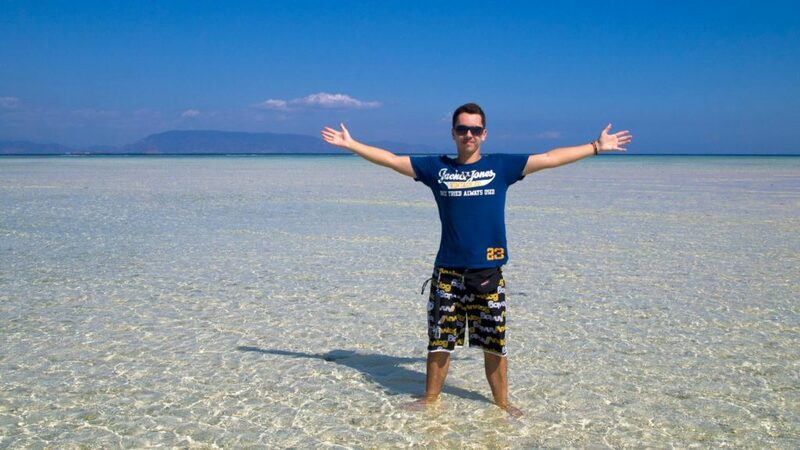 I am thinking of bring my wife and 3 kids to go to Lombok and Gili islands. Is it safe? What’s accomodation like? Im planning a 3 day trip to lombok in April and only want to snorkel east lombok. Is there anyway to organize a trip in advance? I really need dependable , timely and safe, Im traveling wiht 2 teenage boys. We snorkel all over and have our own equipement, how would this compare to komodo snorkeling? Is there current or safety to worry about and does the tour come with an experienced guide, or dive master( although we just snorkel)? Can I have Paks website or email? You can basically ask any car driver to bring you there. Hire him for the whole day and he can bring you to the pier in East Lombok. I did my tour with Lombok Arfatourindo (his name is Ramdani, contact arfatourindo@gmail.com or WhatsApp +6287739518019) and he’s cooperating with Mr. Jeffry in East Lombok. Mr. Jeffry’s number is +6287863316004 (no website as far as I know). I didn’t notice any strong currents (during high season the sea is very calm, don’t know about April but it might get slightly more rough), however, there is no guide or dive master – only the boatman. The blackest beaches I’ve seen on Lombok were on the west coast near Senggigi (and also in the north of Lombok but it’s far away). Many beaches from Ampenan to Senggigi have black sand. 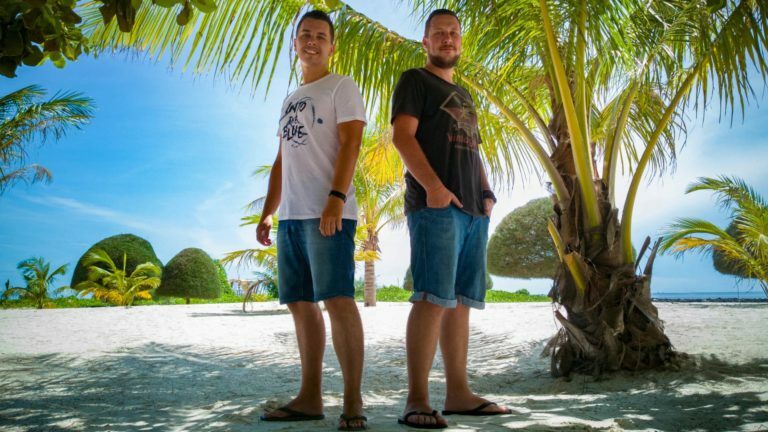 A great place is La Chill Bar, from where you can walk along the beach and enjoy nice sunsets. Fantastic intel. Thanks so much! We’re also planning a Lombok trip in April and I’ve been researching high-end resorts. Lombok Lodge has a beach that isn’t really swimmable (as noted from past guests). Can you recommend any QUIET/nice places? I’m very well-traveled, and have searched all the usual places/sites, but I’ve only every been in Japan and Korea. Would love some further insight if you have it to share. Lombok Lodge is very quite and high class, but also very far away from the main tourist areas. I haven’t stayed there yet so I can’t tell you about the beach. All I know is that next to it (maybe 10 minutes drive away) there is Sire Beach, where you can definitely swim. It is a public beach though and it can get very crowded with locals on weekends or holidays. Probably not really what you’re looking for. How about Qunci Villas? I have enjoyed my stay very much. In east Lombok, we have blach sand beach in Pelabuhan Gili Sulat, Lawang, and Korleko Beach, Obel-Obel Beach. You may contact me via arfatourindo@gmail.com if you want to visit the beaches. Great website and lots of good information. I will be going to Lombok in Jan and want to avoid the touristy islands. I just want to snorkel. Of all the islands you have visited which would you strongly recommend for snorkelling which have few tourists?? Thanks! 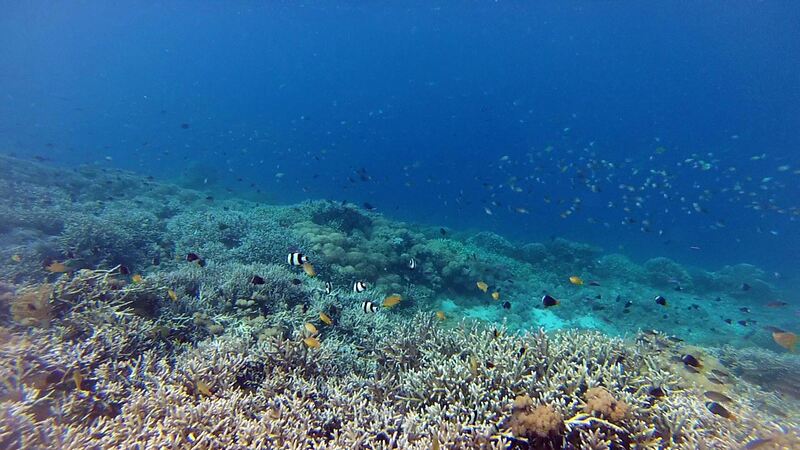 The best not so touristy places for snorkeling are: Secret Gilis in Sekotong (like Gili Nanggu etc.) and Gili Kondo/Gili Bidara (see this article). I am planning to go to Lombok next week, and want to do day trip to those Gili you mentioned. Do you think it will be enough time to see all Gili Kondo, Gili Kapal, and Gili Bidara? And if so, do you have the contact of Jeffry? So I could organize the boat with him. Sorry for the late reply – I hope it’s still in time. 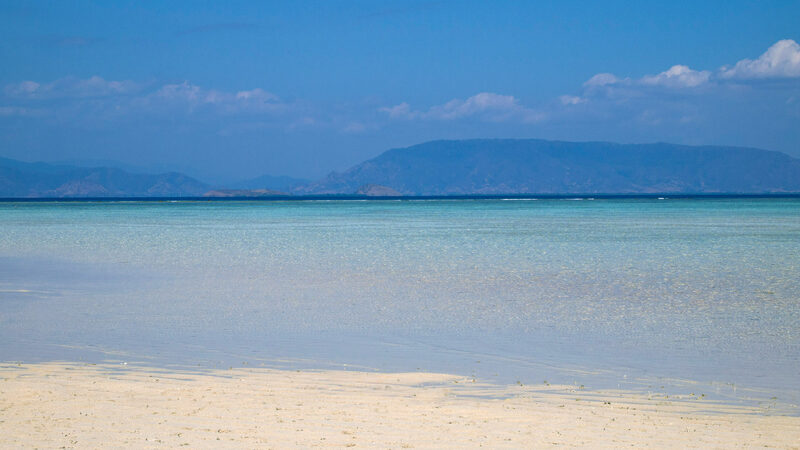 Great videos and info on the Gilis & Lombok, loooks beautiful. We are planning to visit Bali for our honeymoon and looking to stay at a hotel in Senggigi for 6 nights. As we would have had 6 nights in Ubud seeing lots I figured Lombok would be good for relaxation but I wonder if it is too quiet? Lombok is indeed more quiet and less touristy than Bali but there’s still so many things do to in 6 days. Please check our article on things to do in Lombok. Such great blog articles! I’m planning my visit to Lombok next month and we are a little tight on time, so wanted to ask your opinion which is better the islands in this article or the ones you mentioned in the southwest (Nanggu, Asahan etc). Would you suggest we do 1 day for visiting each side of these islands or better to spend 2 days in 1 place? 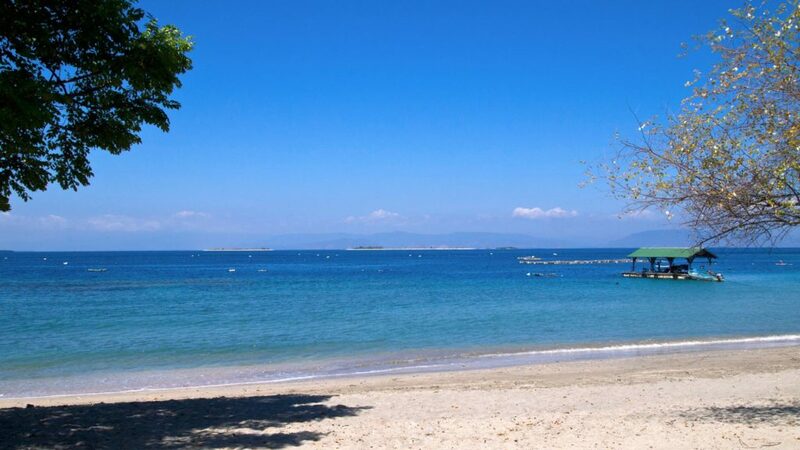 What about the beaches on the main Lombok island? How do they compare to the islands? Is it worth seeing them too? We like most people I imagine love clear blue waters, white sand, and interesting fish and coral for snorkelling. ! Sorry so many questions but hope you can share your advice. Thanks! Thanks! 🙂 Well, I think both are great and it’s hard to say for me which one is better. The East Gilis are certainly more secluded and less touristy (Gili Kondo can get very crowded at weekends or holidays though, but only with locals, not tourists). Gili Nanggu has more and more tourists but is still very quiet and beautiful. The Southwest Gilis offer accommodations, at least some of them, while the East Gilis don’t have them at all and you can only go there for a one-day trip (best with a driver). If you have 2 days, you could start from somewhere on Lombok (for example Senggigi) and visit the East Gilis for one day and the Southwest Gilis the other one. The main island beaches are great, too! It’s totally worth to see them in my opinion. Especially in the south of Lombok (Kuta area). But in Sekotong (where the Southwest Gilis are), you can also find some beautiful lonely beaches. So another option would be, you stay in Sekotong 2 days: one day for a snorkeling/Gilis tour and the other one for exploring the Sekotong area with a scooter.